On 25 May, the Supreme Court handed down its judgment in Fraser v Her Majesty’s Advocate  UKSC 24, which held that Fraser, who had been convicted of murdering his wife, had received an unfair trial contrary to Article 6 ECHR, because of the Crown’s failure to disclose evidence to the defence. The Supreme Court ordered the Court of Criminal Appeal in Edinburgh, which had earlier held that there had been no miscarriage of justice, to consider whether to authorise a new prosecution (which it subsequently did) and to quash the conviction. This decision – fairly unremarkable in itself – nevertheless provoked a storm of controversy. Scotland’s First Minister, Alex Salmond, and the Justice Secretary, Kenny MacAskill, accused the Supreme Court of illegitimate interference in Scotland’s criminal justice system, questioned the qualifications of its justices to pronounce on matters of Scots Law, and even threatened to withdraw Scottish funding of the Court. Lord Hope of Craighead, in turn, granted a highly unusual interview to The Times rejecting these criticisms (‘Salmond has got it all wrong, says judge – First Minister “misunderstood the law and the facts”’, 27 May 2011). Salmond and MacAskill were roundly condemned for their remarks, being accused of anti-Englishness and, more seriously, of threatening judicial independence and undermining the rule of law. This unseemly row rumbled on for several weeks, until brought to an end by the untimely death of Lord Rodger of Earlsferry on 26 June. Meanwhile, on 5 June, the First Minister announced the establishment of a review of the future scope of appeals to the Supreme Court in criminal cases. The Review Group issued a hurried first report on 27 June, followed by a more considered final report published on 14 September. The Review Group’s report is in fact the third in two years dealing with the issue of final appeals in the Scottish legal system. The relationship between courts in Edinburgh and London has long been a contentious one. Not only is the treatment of Scottish appeals to the House of Lords/Supreme Court anomalous compared with the other UK jurisdictions – there is no leave requirement for Scottish appeals in civil cases and, until 1999, there were no appeals whatsoever in criminal cases – but the House of Lords’ alleged insensitivity to the distinctive nature of Scots law has also been a long-standing source of grievance for many Scots lawyers. However, the issue has become particularly fraught in recent years because of two controversial developments. The first is the creation, as an unintended consequence of devolution, of a de facto right of appeal in criminal cases, first to the Privy Council and now to the Supreme Court, where a devolution issue is raised. Because the Lord Advocate – who heads the prosecution service in Scotland – is also one of the Scottish Ministers, and because the Scottish Ministers are, by virtue of section 57(2) of the Scotland Act, prohibited from acting contrary to the ECHR or EU law, the Privy Council decided that any case in which the Convention-compatibility of a criminal prosecution is questioned raises a devolution issue. This has led to a steady stream of cases in which the Privy Council/Supreme Court has taken a different view to the Court of Criminal Appeal on the convention-compatibility of Scots law. As well as causing resentment amongst some Scottish judges, unused to external interference in criminal matters, some cases have caused significant problems for the Scottish Government. Most notable is Cadder v HMA  UKSC 42, which held that the lack of a right of access to a solicitor for suspects in police detention (rather than under arrest) was contrary to Article 6, leading to hundreds of consequential appeals and a significant additional charge on the Scottish legal aid budget. The second controversial development was the creation of the Supreme Court itself. Although this made no substantive changes to appeal rights in Scottish cases, the establishment of an explicitly ‘UK’ court reinflamed sensitivities about the continued independence of Scots law. Attempts to reform final appeals date back to 2006, when Adam Ingram, an SNP MSP, introduced a Member’s Bill which sought to end civil appeals to the House of Lords and establish instead an additional layer of appeal within Scotland. However, the Bill was rejected by the Scottish Parliament, having been ruled outwith devolved competence by the Presiding Officer. In 2008, the by then minority SNP Government returned to the issue and asked Professor Neil Walker to conduct a review of final appellate jurisdiction in the Scottish legal system. The Walker Review reported in January 2010, and recommended a quasi-federal system, whereby appeals in both civil and criminal cases which raised UK-wide issues would continue to be heard by the Supreme Court, but those involving purely Scottish issues would be dealt with exclusively by Scottish courts. As well as raising practical difficulties and vires issues, this was almost certainly not the recommendation the Government wanted, and the report has effectively been shelved. Subsequently, debates have focused on the narrower question of the treatment of devolution issues in criminal cases. In September 2010, the Advocate-General established an Expert Group, headed by Sir David Edward, to make recommendations for reforms to be included in the Scotland Bill currently before Parliament. The Expert Group report Expert Group report, published in November 2010, concluded that the inclusion of the Lord Advocate’s prosecution functions within the definition of devolution issues was a ‘constitutional error’ which ought to be removed. These were ‘retained functions’, which had nothing to do with devolution, and the current arrangements were ‘clumsy, bureaucratic and productive of delay’. Nevertheless, to ensure consistency with the rest of the UK, it recommended that a new, free-standing right of appeal to the Supreme Court should be created for criminal cases raising issues of compatibility with the ECHR or EU law. A new clause 17 was added to the Scotland Bill at report stage in the House of Commons on 21 June to give effect to this recommendation. In their submissions to the Expert Group, the Scottish Government and the Lord Advocate had called for appeals to the Supreme Court in criminal cases to be ended altogether, so Salmond was no doubt hoping that this is what the Review Group (headed by Lord McCluskey) would recommend. Again, however, he was disappointed. The Review Group agreed with the Expert Group that there should be a new, free-standing appeal right for cases raising Convention rights issues, albeit differing on the details of how this should operate. In particular, the Review Group argued that an appeal should lie only where the Appeal Court certified that the case involved a point of law of general public importance, and that the Supreme Court’s powers should be limited to pronouncing on the question of law referred; it should not have all the powers of disposal available to the Appeal Court. Moreover, they argued that the new appeal right created by clause 17 was technically deficient, since it was limited to acts or failures to act of the Lord Advocate, whereas what the Expert Group had intended was a right to appeal against any aspect of a trial raising Convention rights issues irrespective of the agency responsible for the alleged breach. The Review Group also emphasised that criminal cases raising true devolution issues (e.g., concerning the vires of criminal offences created by the Scottish Parliament) should continue to be dealt with via the current procedure. Since this was the third set of expert advisors to recommend retention of some form of appeal to the Supreme Court in criminal cases, the Scottish Government had little option but to accept it. The tone of the report – which reaffirms the finality of the Appeal Court’s jurisdiction in criminal law generally, and emphasises the limited nature of the role proposed for the Supreme Court – together with the differences of detail from the Advocate General’s proposals, are probably sufficient to allow the Scottish Government to save some face. There is, however, no guarantee that the Review Group’s proposals will be implemented. This depends entirely upon the willingness of the UK Government and the Westminster Parliament to accept them; since the reform involves amendment of the Scotland Act 1998, it is outwith the competence of the Scottish Parliament itself. The UK Government has laid down three tests for the acceptance of further Scottish Government amendments to the Scotland Bill: they must be based on detailed proposals; they must deliver clear benefits to Scotland, without prejudice to the rest of the United Kingdom; and they must generate cross-party consensus. The first two of these conditions would seem to be fulfilled, but given the general political condemnation of Salmond and MacAskill for their handling of this issue earlier in the summer, other Westminster parties may be unwilling to make concessions. The Scottish Government is not entirely powerless, though. Amendments to the Scotland Bill during its Commons stages, including the addition of clause 17, mean that a new Legislative Consent Motion is required from the Scottish Parliament. Should the Parliament refuse to consent to clause 17 as it currently stands (which seems likely), the UK Government could not ignore that without provoking another constitutional crisis. Nevertheless, even if the Review Group’s recommendations are implemented, the outcome will be a poor one from the SNP’s perspective. Far from ‘repatriating’ Scottish final appeals, the result will be the creation of a freestanding right of appeal in criminal cases, potentially broader in scope that the current devolution issue procedure. Moreover, this will reinforce the incipient federalisation of the Scottish legal system. Under the Constitutional Reform Act 2005, s 41(2), devolution issues are already implicitly regarded as matters of UK law, rather than Scots law, and the argument for consistency in the interpretation of Convention rights and EU law suggests that these are regarded in the same way. Although both the Expert Group and the Review Group justified the need for consistency by reference to the need to ensure compliance with international law, this argument is less compelling than might be supposed. Since the ECHR establishes only minimum standards for the protection of human rights, there is a respectable argument that consistency between the UK’s jurisdictions is not always required. Similarly, the ECJ has recognised in Horvath (Case C-428/07  E.C.R. I-6355) that differential implementation of EU law as between ‘legislatively empowered’ regions within member states may sometimes be permissible. The argument for consistency, then, is one based on internal constitutional considerations, not external requirements. In other words, as the Walker report argued, the logical implication of devolution is the quasi-federalisation of the UK’s legal systems and the creation of an explicit body of ‘UK’ constitutional law. The difficulty is that asymmetric devolution also means asymmetric federalisation. 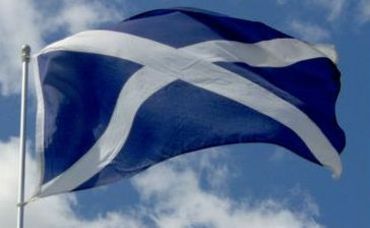 For the time being, the Scottish legal system is much more tightly constrained by the emerging UK constitutional jurisdiction than the English legal system. Given the legitimate interest that the Scottish government has both in the structure and scope of final appeal rights and in the impact of particular Supreme Court decisions, as well as the symbolic importance of the independence of the legal system to Scottish nationalists, this situation is bound to be a source of tension. This is particularly so given that the Westminster Parliament can be expected to be even less interested in matters of Scots law post-devolution than it was before. It is frustration over their lack of full control over the legal system which explains the intemperate nature of Salmond and MacAskill’s response to the Fraser case (see Salmond’s interview in Holyrood magazine on 13 June. This was undoubtedly an attempt to influence the Supreme Court, and particularly its Scottish judges, by warning them that the legitimacy of their decisions in Scotland cannot be taken for granted. In the absence of formal channels through which to respond to problematic Supreme Court decisions, resort to informal influence is inevitable. Although the threat to judicial independence has probably – as is usually the case – been overstated, this cannot be regarded as a desirable constitutional position. For now, the sting appears to have been drawn from the issue. However, if the Supreme Court rules against the Scottish Ministers, for instance in the Axa General Insurance case, or in a future case regarding the competence of the promised independence referendum, similar ructions can be expected. 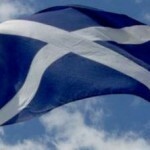 Leave a reply on "Final Appeals in Scots Criminal Cases"